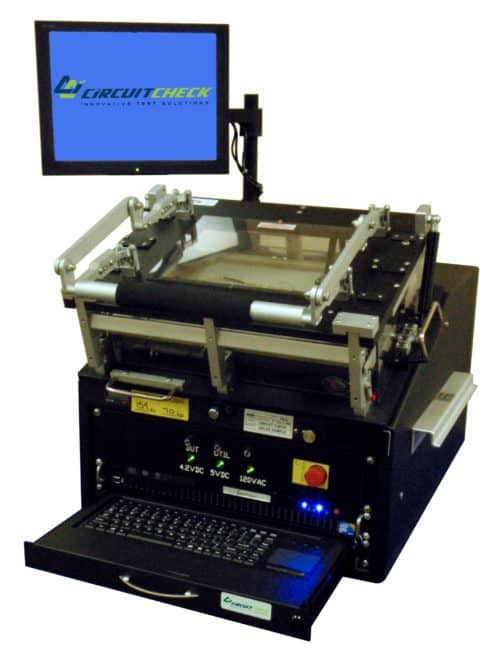 The Circuit Check 600 Series Compact ATE Platform with built-in professional fixturing solves the uncertainty of repeatable results that are common with bench testing. With the 600 Series Compact ATE, test procedures can become automatic, with test steps and go/no-go limits easily programmable. 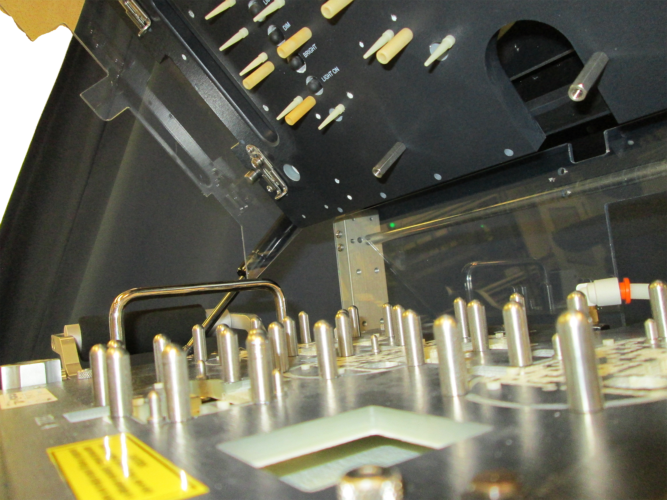 Hand-probing is eliminated, replaced with accurate, repeatable tooling and reliable spring-loaded test probe fixturing. 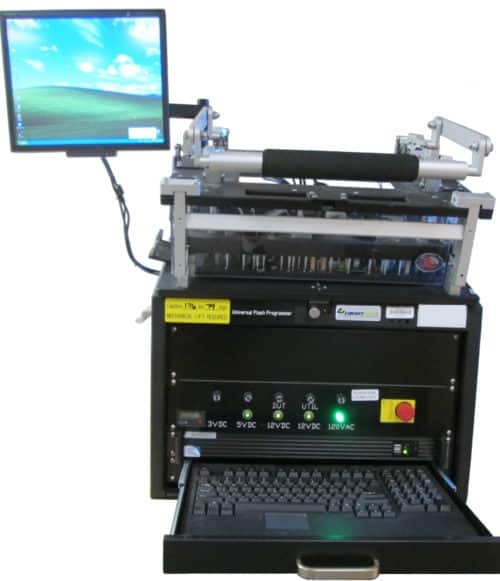 A key to achieving the maximum value from automated test equipment is using the same test equipment and fixture mechanics to test multiple products. Circuit Check’s 600 Series Compact ATE achieves this by using interchangeable fixture drop-ins. These drop-ins allow the same test system to be quickly reconfigured with new tooling and probe patterns for different products. 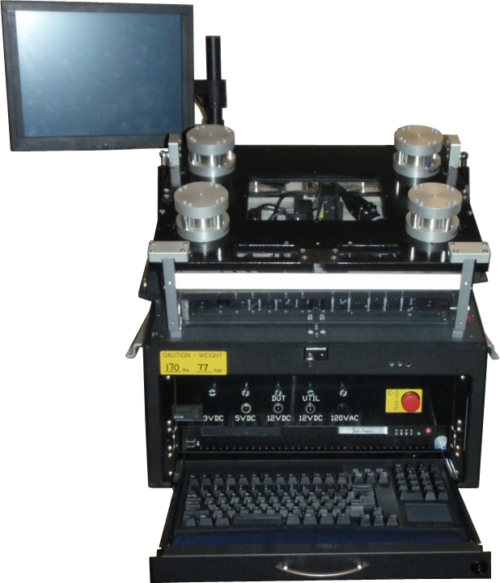 This maximizes equipment re-use and minimizes the cost for each new test. Probing can support top, bottom or dual stage fixturing. The 600 Series is configured to customer specific test needs in order to maximize performance at a lower investment, supporting both traditional instrumentation and modular PXI.